NASA’s Juno spacecraft has successfully completed its eighth science flyby of Jupiter, passing over the gas giant’s swirling cloud tops once again as it continues to unravel the mysteries of the largest planet in the Solar System. 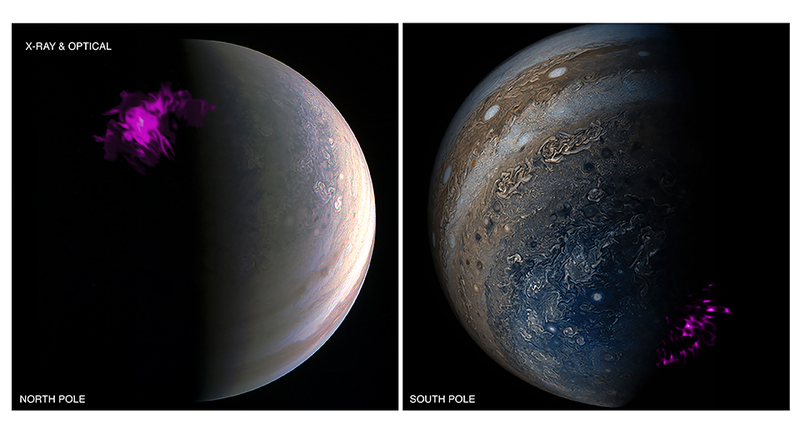 The mission itself also now has a new project manager, who will oversee the continuing flow of information being sent back, which has already greatly expanded our knowledge of Jupiter, upending some theories and presenting new questions. The flyby actually occurred on Oct. 24, (Perijove 9) but the confirmation of its success was delayed until Oct. 31 by the solar conjunction, which interrupts communications between the spacecraft and Earth. Juno has been busy orbiting Jupiter since July 4, 2016, using its instruments to study the planet’s atmosphere, clouds and auroras. At its closest, the spacecraft passes within 3,400 kilometres (2,100 miles) of Jupiter’s cloud tops, providing unprecedented views of the turbulent atmosphere, which often looks like it was painted by a cosmic watercolour artist. Juno previously found that Jupiter’s auroras seem to “defy earthly laws of physics” and are much more powerful than any on Earth. The auroras have also been studied more recently by NASA’s Chandra X-ray Observatory. 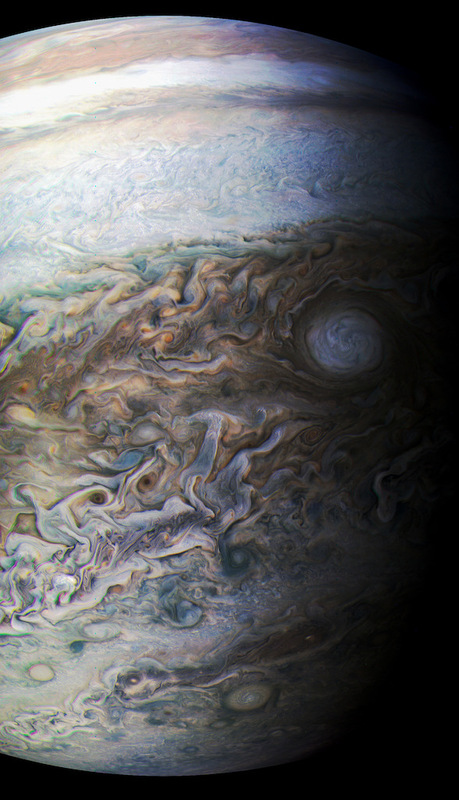 The data from Juno has also shown that Jupiter is more complex internally than previously thought, with current theories being turned on their heads. 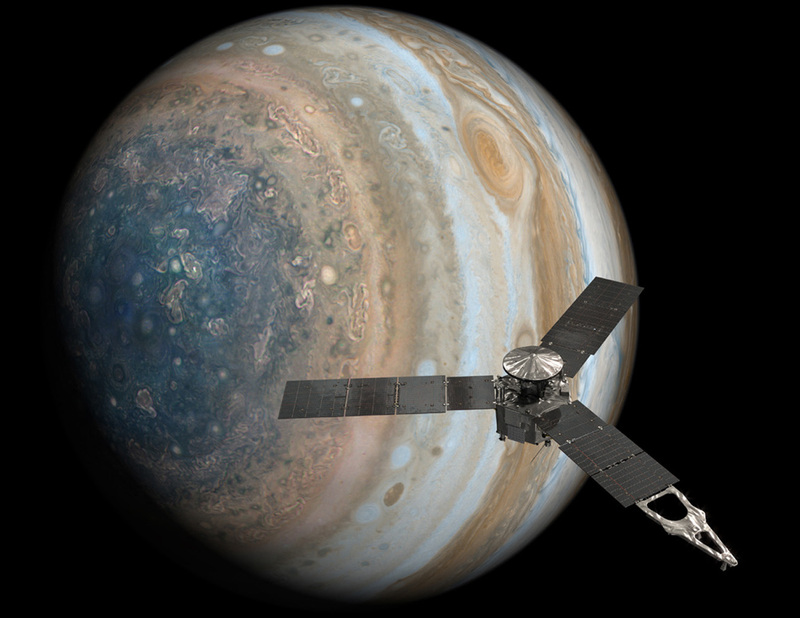 Juno was first launched on Oct. 5, 2011, and is the first spacecraft to visit Jupiter since Galileo, which ended its mission on Sept. 21, 2003 by intentionally plummeting into Jupiter’s atmosphere, much like the Cassini probe did at Saturn last September. 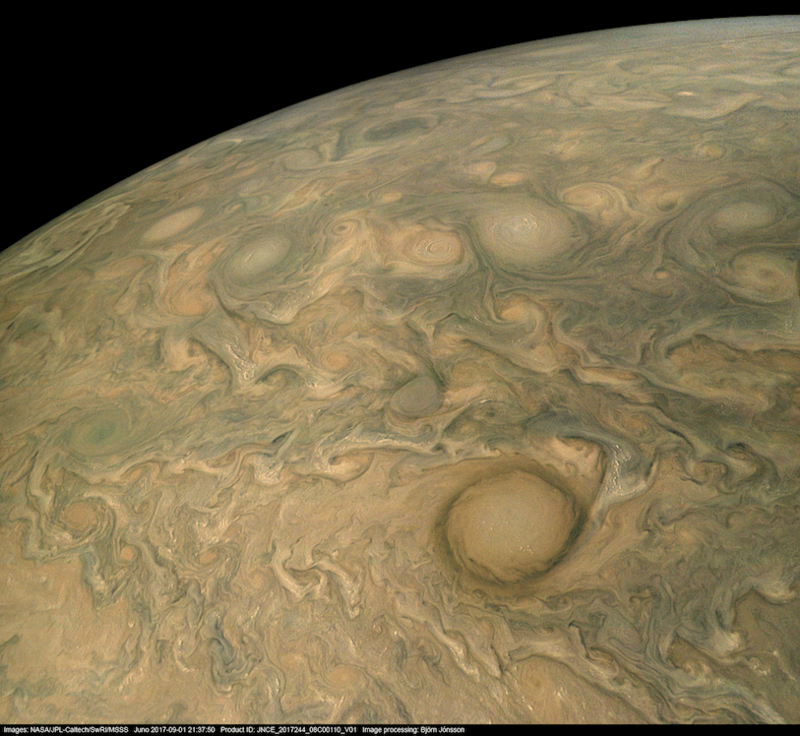 Ed Hirst is the new project manager for Juno, who has worked on the mission since the beginning, and also worked on the Galileo, Stardust and Genesis missions. He replaces Rick Nybakken, who was recently appointed deputy director for JPL’s Office of Safety and Mission Success. Juno’s next close flyby of Jupiter will be on Dec. 16, 2017.